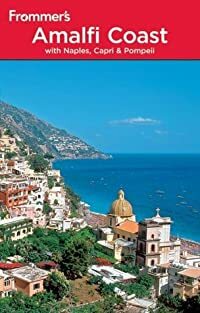 Completely updated, Frommer's Amalfi Coast clues you in to the region's best experiences, from enjoying secluded beaches and fine seaside dining to exploring history, art, and archaeology. Our local authors hit all the highlights, from the ruins of Pompeii to the iconic hillside towns of Amalfi, Ravello, and Positano. They've checked out all the area's best hotels and restaurants in person, and offer authoritative, candid reviews that will help you find choices to suit your taste and budget. You'll also get up-to-the-minute coverage of shopping and nightlife; accurate maps; advice and tips on planning a successful family vacation; in-depth coverage of Naples, including a detailed walking tour, and side trips to islands like the well-known Capri as well as to undiscovered towns outside the city.